When MTV debuted on August 1, 1981, it staked out its territory in epic style with a stylized rocket launch, a moon landing, and a flag emblazoned with the network logo thrust by an astronaut into the lunar surface. 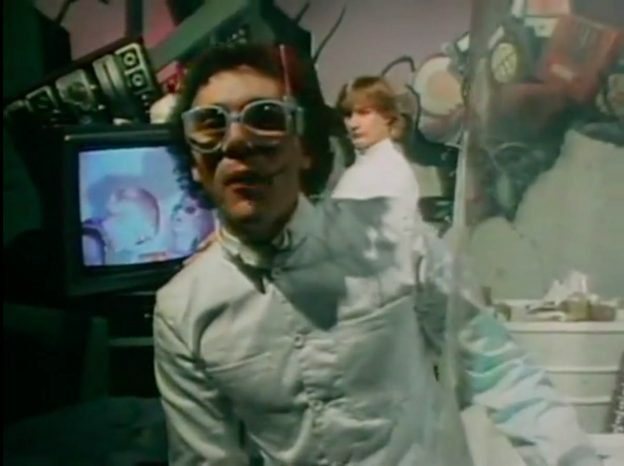 The first music video to air on the shiny new network was “Video Killed the Radio Star,” a hit single from the English new wave duo The Buggles off their 1979 album The Age of Plastic. The Buggles were comprised—are comprised, actually; though they disbanded in 1981 after an underperforming second album, they’ve reunited off and on for performances since 1998—of singer/bassist Trevor Horn and keyboardist Geoff Downes. Post-Buggles, Horn and Downes both temporarily joined the prog-rock group Yes; Downes went on to become a member of the supergroup Asia, while Horn, sometimes referred to as “the man who invented the eighties,” co-founded the experimental art-pop group Art of Noise and founded the ZTT record label, where he produced songs and albums for artists like ABC, Frankie Goes to Hollywood, and Grace Jones. For MTV’s maiden voyage, “Video Killed the Radio Star” was an obvious choice—or perhaps the only choice. Just look at the title of the song, which sums up the nascent network’s mission statement in five bold words. The title also serves as the song’s endlessly repeating earworm of a refrain; falling somewhere between a radio jingle and a schoolyard taunt, it tap-dances on the line between infectious and obnoxious. Radio is dead, it proclaims, and video is here to stay. The past is the past. Move along, or be swept underfoot by the stampede of progress. Then again… Move beyond that refrain, and the song becomes infused with quiet nostalgia and soft cautionary notes (And now we meet in an abandoned studio/We hear the playback and it seems so long ago). The song’s inspiration comes from J.G. Ballard’s short story “The Sound-Sweep,” in which an opera singer, having been rendered obsolete by the advent of high-tech ultrasonic music requiring no human contribution, mourns her lost art. “Video Killed the Radio Star” is an elegy for the technology once used to record and broadcast music. “I heard you on the wireless back in ’52,” Horn sings in the song’s opening salvo. He’s addressing the titular radio star, who’s been pushed into irrelevance—killed, if you want to be dramatic about it—by the advent of the MTV age. Horn’s vocals are given an electronic echo; his voice sounds as though it’s coming through over radio waves from a distance. Modern technology has been pressed into service to recreate the sound of something old-fashioned. This concept—technology replacing that which once seemed irreplaceable—was baked into the DNA of The Buggles. In a 2012 interview at The Stool Pigeon, Horn had this to say about the origin of the band’s name: “We had this idea that at some future point there’d be a record label that didn’t really have any artists—just a computer in the basement and some mad Vincent Price-like figure making the records. […] And one of the groups this computer would make would be The Buggles, which was obviously a corruption of The Beatles, who would just be this inconsequential bunch of people with a hit song that the computer had written.” The Buggles are an ersatz electronic Beatles, created in a studio to give the appearance of being untouched by human hands. The video was a highlight of the early career of director Russell Mulcahy, who’d soon establish himself as the preeminent talent within this realm, thanks to the videos he’d make for Duran Duran, Ultravox, Elton John, Spandau Ballet, and others. MTV’s golden boy during its golden age, Mulcahy used striking yet enigmatic visuals to create slippery narratives. A hallmark of Mulcahy’s videos is their boundless ability to be watched and re-watched while still retaining interest—a crucial quality in a music video. On a first viewing of a Mulcahy-directed video, you’ll glean some idea of the story, and then that idea will change and grow upon repeat viewings. At the start of the video, a young girl in overalls attempts to tune her antique radio. The radio explodes in a burst of sparks and flames, and the girl morphs into her future self, a cool New Wave princess in a spandex unitard and a shiny multicolor tinfoil wig. Her adult self is played by Virginia Hey, who first made an impact as the Warrior Woman in 1981’s The Road Warrior, then later cemented her genre fame in the nineties as the blue-skinned alien Zhaan on Farscape. Hey finds herself transported via an enclosed plastic tube to a ramshackle studio, which is overrun with heaps of abandoned technology. Horn and Downes perform in the studio, aided on synths by composer Hans Zimmer, ten-time Oscar nominee and the man responsible for the scores of films ranging from The Lion King to Interstellar. 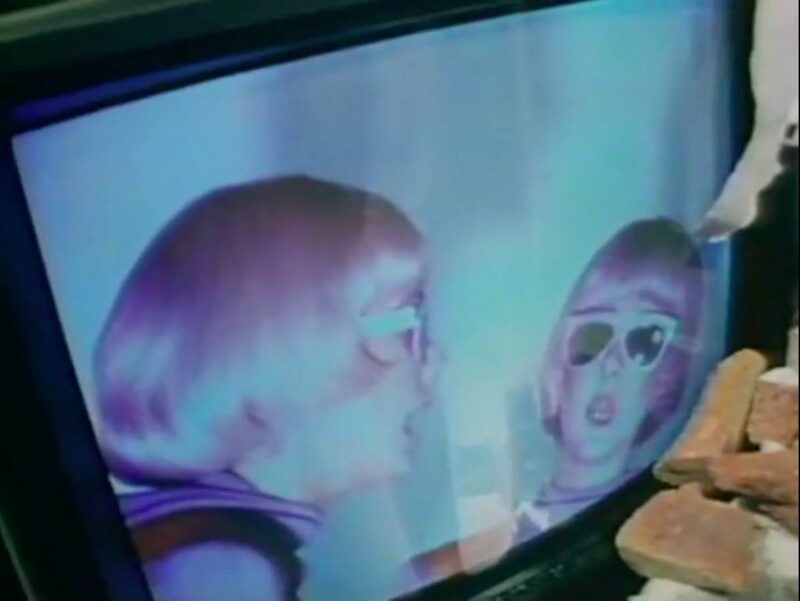 Backup singers Debi Doss and Linda Jardim, in matching bobbed pink wigs and sunglasses, appear on a monitor. “Pictures came and broke your heart,” Horn sings to the radio star, “put the blame on VTR.” A VTR—a video tape recorder—was an open-reel magnetic tape-based recording device that was cheaper and more efficient than film for recording both sound and picture. Prominent throughout the sixties, VTRs were replaced the following decade by VCRs—videocassette recorders—that enclosed smaller versions of the reels inside durable plastic cases. VCRs became obsolete in the early 2000s with the rise of digital formats for recording audio and video, while DVDs became the format of choice for home video viewing. Technology always marches on: Thanks to the rise of easy, accessible streaming video, the DVD format is now essentially obsolete. Back to the video for a moment: So the young girl who listened to the antique radio grows up and enters the video age, an era that began when this video first aired on MTV. The era ended with neither a whimper nor a bang; time simply moved on while we weren’t paying attention. Music videos still exist—not on MTV, god forbid, but they exist elsewhere, and some of them are excellent, and some artists still take great time and care with their construction, but they’ve lost their value as the currency of an age. 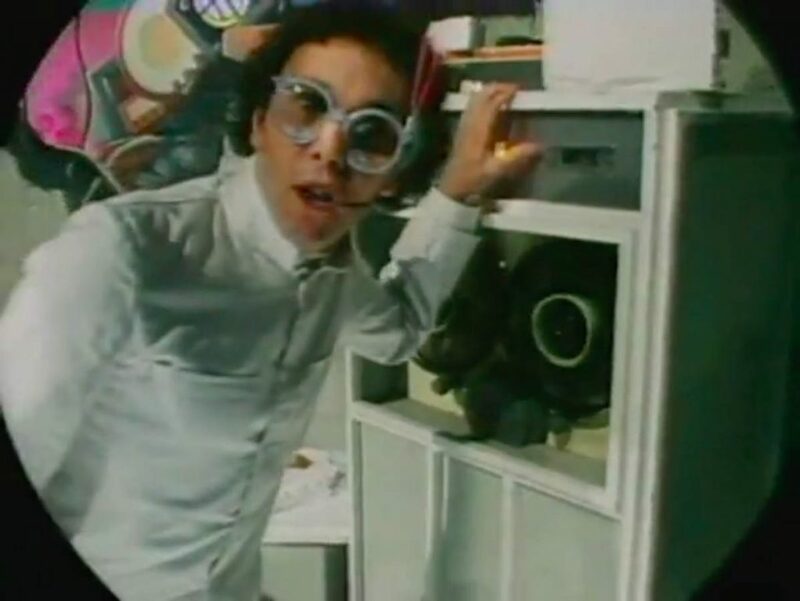 I feel pangs of something hard to define when I listen to “Video Killed the Radio Star” these days, or whenever I watch the video. Wistfulness, maybe, or maybe something a bit gloomier than that. It doesn’t come from a specific personal attachment to the song; it’s a good song, catchy and unique, with a lot of interesting things going on in it, but it’s never made my top tier of favorites. Listening to it makes me acutely aware of the passage of time, as though it forms a temporary bridge from the present to the past that I can see, but never cross. My generation, Gen X—better known at one time as the MTV Generation—has been superseded in terms of pop-culture dominance by the Millennials, who are in the process of being superseded by Generation Z. In 2010, The Limousines released an ironic update of the song with a reworked tune and revised lyrics, called “Internet Killed the Video Star,” and even though The Buggles might very well approve of this kind of cannibalism of the old by the young, and even though their version makes the same point I just spent the last few paragraphs trying to make—that times have changed and will continue to change—I dislike the song and wish it didn’t exist. We all lose our relevance at some point, Limousines; there’s no need to rub it in. Or if you must rub it in, at least come up with your own damn song. In any case, there’s no sense in dwelling on an imagined slight. Give it a decade or two, and something that doesn’t yet exist will kill the internet star. Time and change come for us all, no matter how tightly we try to hold on. As The Buggles once warned us, we can’t rewind—we’ve gone too far. While I’ve got you here… Consider purchasing my book, Duranalysis: Essays on the Duran Duran Experience, in either paperback or Kindle-formatted ebook. Thank you very much! This entry was posted in Eighties on March 19, 2019 by Administrator.